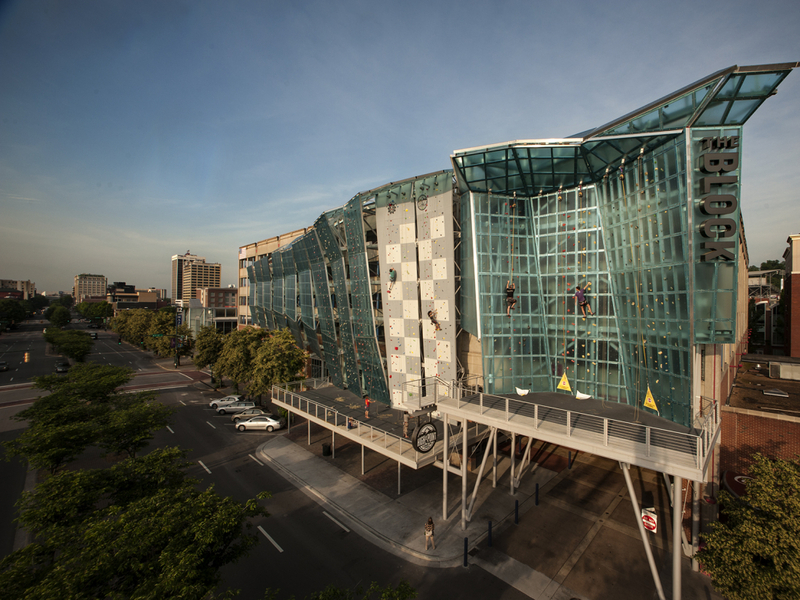 With 30,000 square feet of climbing, High Point Climbing And Fitness is one of the nation’s most unique climbing facilities, offering climbing inside and outside, right in downtown Chattanooga. The outdoor climbing feature climbing on transparent walls that is like nothing else. 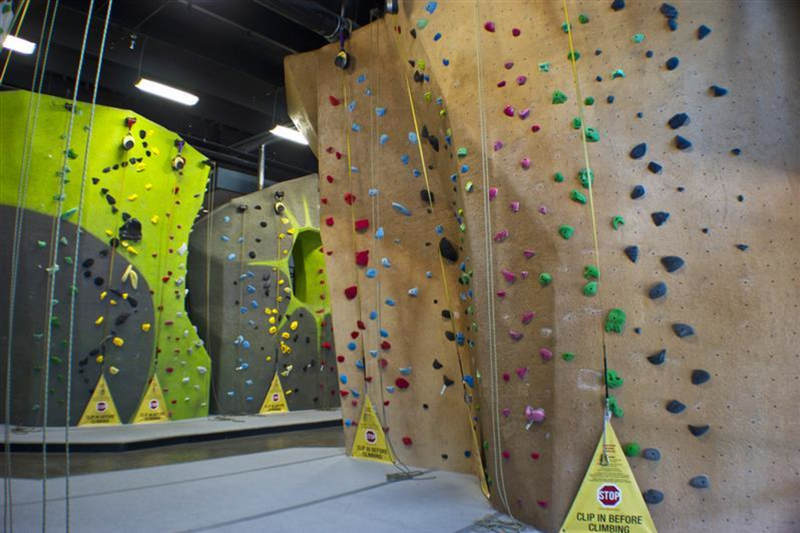 There are lead, top rope, and auto-belay systems, as well as a 15 meter speed climbing wall. 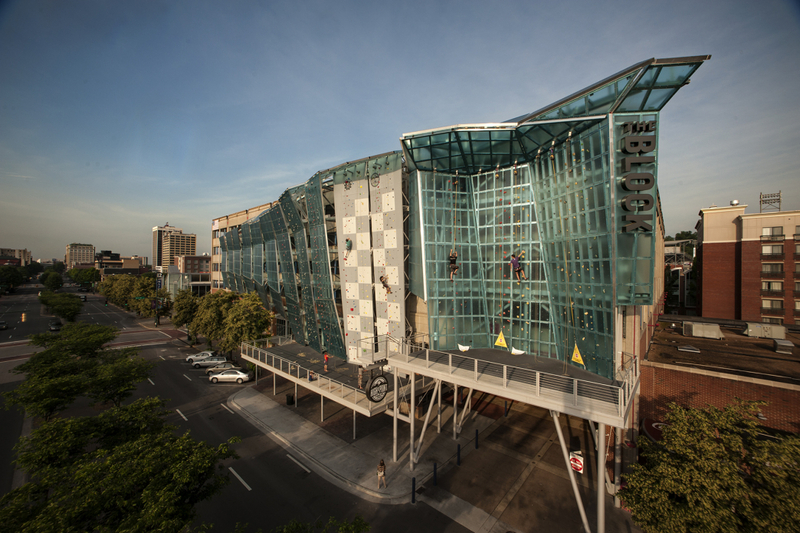 Climb while enjoying wonderful Chattanooga right on Broad Street! 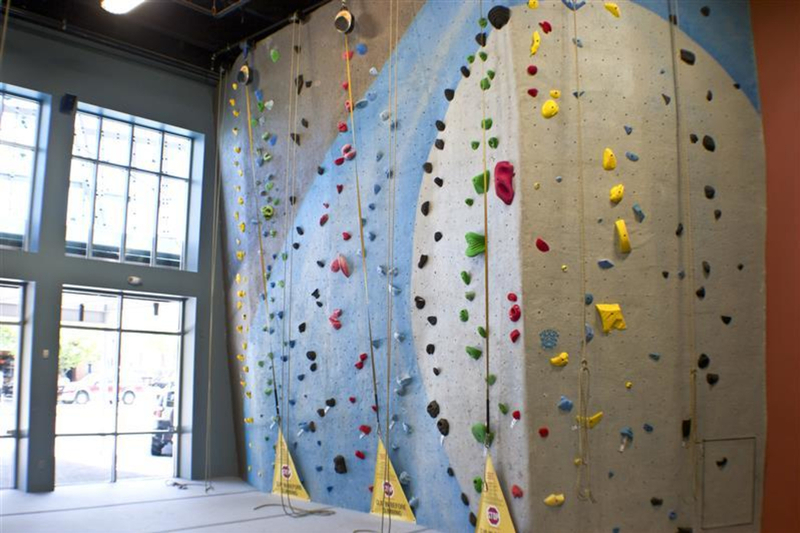 Inside, there are climbing areas for everyone, from beginner auto-belay walls to our top-roping room, lead-climbing pit, and two boulder areas with up to 17’ tall walls at varying angles. 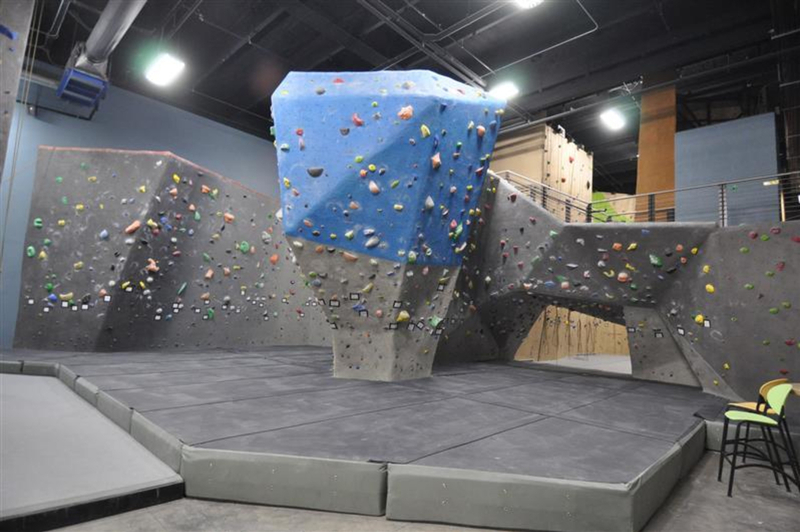 For the more experienced, there are training areas that include a campus board, moon board, adjustable wall as well as hang boards and gymnastic rings. 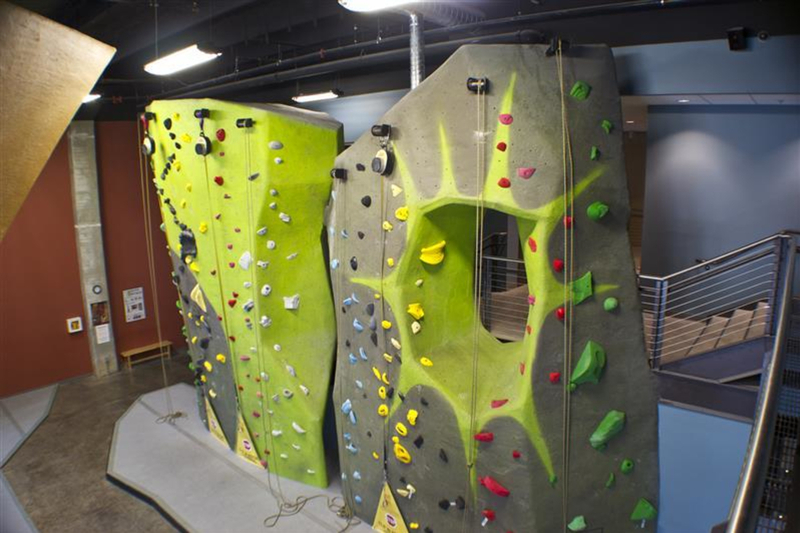 For the younger ones, the Kids Zone is the place to be with a 10ft bouldering wall and 15 auto belays for unlimited fun. Sign up for a class with two of the best climbers in the world, Lisa Rands and Wills Young, to take your skills to the next level and beyond. Want to climb on real rock? Get out with Lisa and Wills! 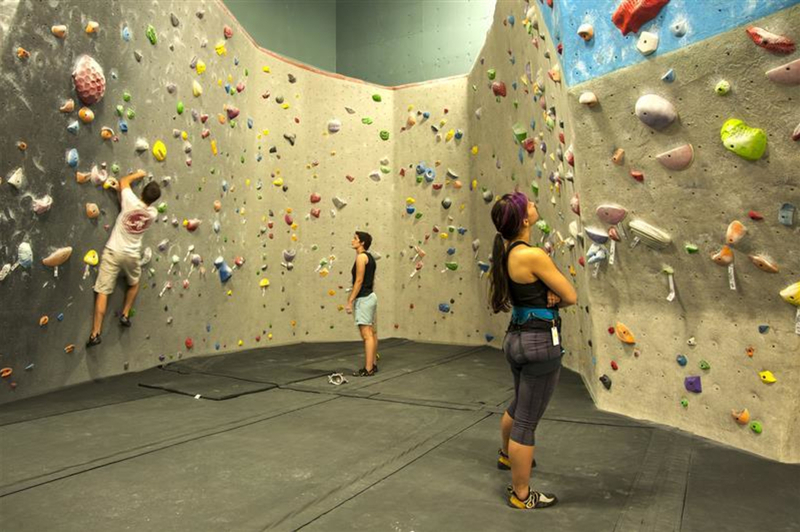 High Point offers diverse cross-training for climbers or non-climbers. 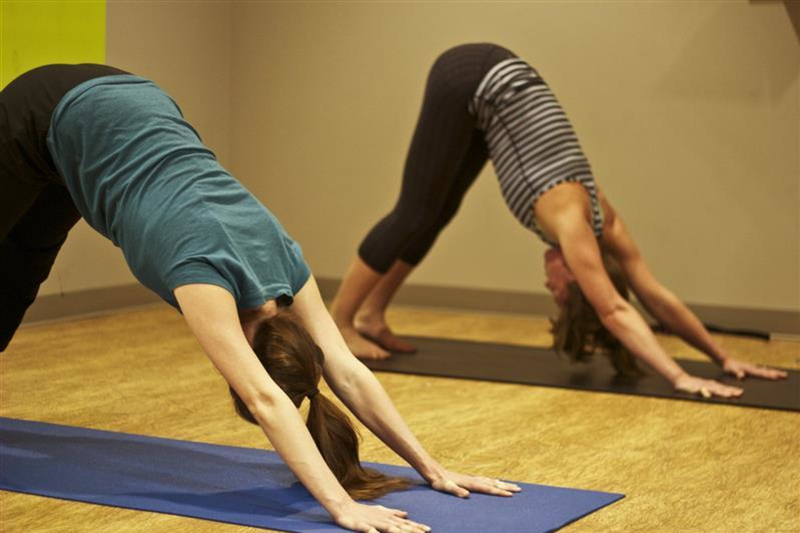 There are 2 aerobic and weight rooms, and a yoga room all included in your membership or day-pass. The aerobic area features spin bikes, treadmills (up to a 30 degree incline! ), ellipticals, rowing machine, and a stair climber. Amongst the weight equipment available are FreeMotion machines including a dual-cross and a leg press and also 5-100 dumb bells, adjustable benches, decline abdominal benches, back extension machines, dip/chin/ab tower, bench press, and a squat rack along with other exercise equipment like stability balls, medicine balls, TRX suspension trainer and resistance bands and more. Group fitness classes are also offered on occasion, be sure to check the website for more information. Everyone. Bring your family, your date, your dog...no, wait. Not your dog. There are two locations - Downtown and Riverside. There is plenty of street and garage parking downtown at variable fees. High Point does validate a portion of the parking fee in the attached garage and monthly parking passes are available, just ask at the front desk. Street parking is free after 4pm.